When the Fontaine Research Park was built on the University of Virginia (UVA) campus in the mid-1990s, the Ray C. Hunt building was designed as a 58,600 square-foot prospective medical office building and headquarters for University Physicians Group (UPG). 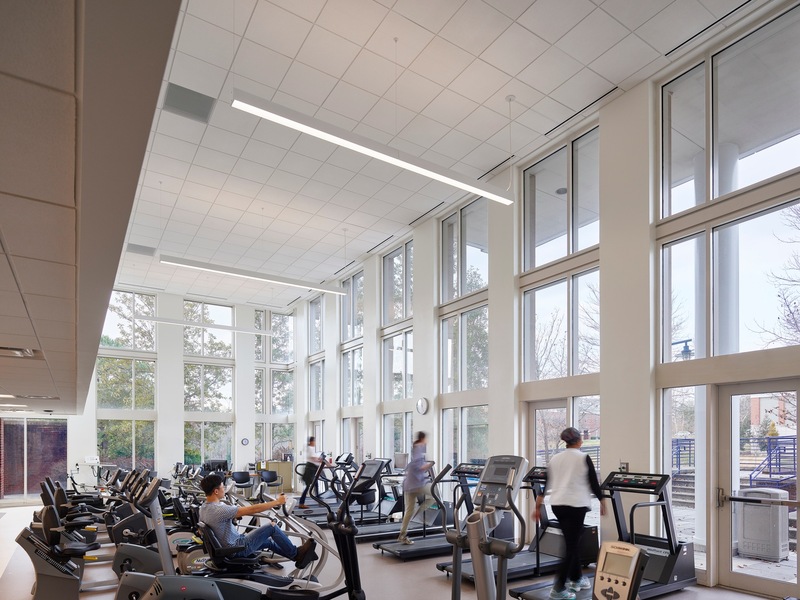 Although the building systems had been maintained well and in working order, they no longer met the strict standards of the University of Virginia Health System, nor did the systems comply with current energy and ventilation codes. 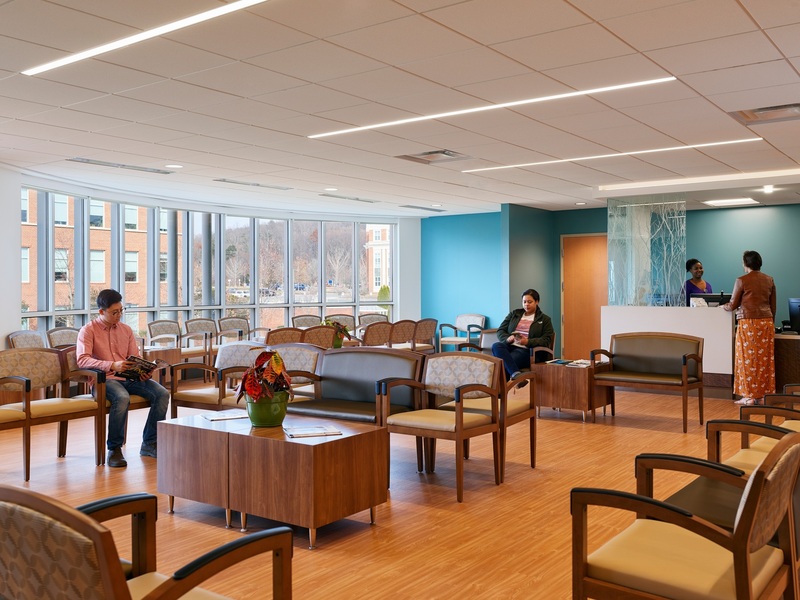 Because two separate UVA clinics planned to move into the facility, the previous Neurology Clinic and office layout on all floors needed to be converted to support new clinic types. Our industrial engineering team conducted time studies to establish clinical room-in / room-out turn-times. Based on the data set, the appropriate quantity of exam space that was required per clinical discipline was determined. Additionally, the team worked with clinical providers in an adjacency diagramming exercise to discover unique configurations that would favor patient, provider, and staff perspectives. The design team used this workshop to prepare the hybrid concept that aligned and balanced the three perspectives for a preferred plan. 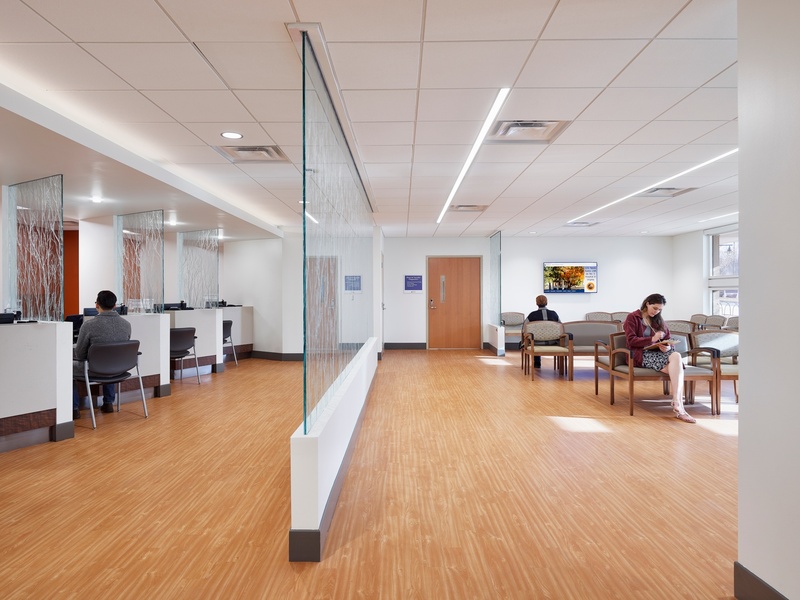 The renovation transformed the medical office building into a multi-specialty outpatient clinic that provides convenient access for patients and efficient clinic operations. 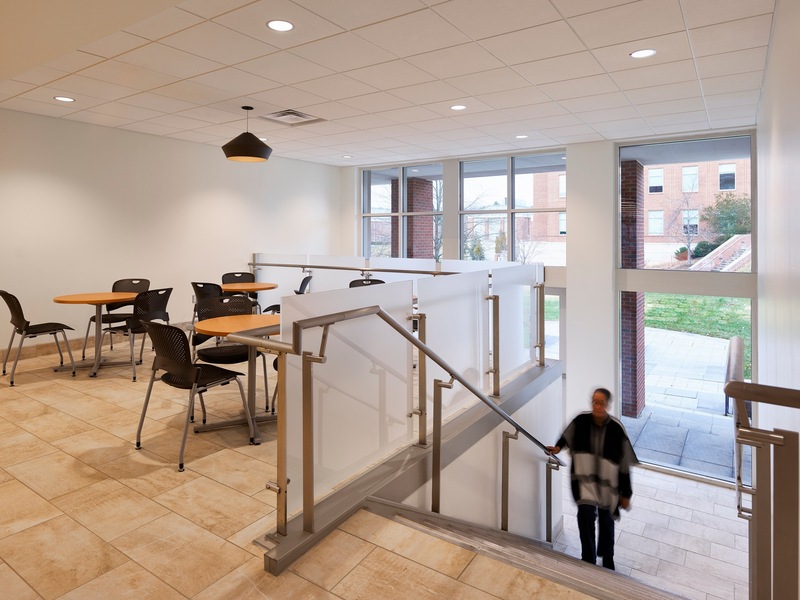 The project included a revised program, redesigned interiors, and replacement of all HVAC, mechanical, electrical, and plumbing systems. Exterior modifications included a new entry canopy for patients and visitors, separate loading dock for deliveries, and a dedicated ambulatory exit for urgent pickup. The Cardiology program occupies three floors, consisting of a Cardiac Rehabilitation, Cardiac Diagnostics, and outpatient Cardiology Clinic. The Urology Clinic includes examination rooms as well as imaging, diagnostics and procedure rooms. The Heart and Vascular Center Fontaine is certified LEED BD+C HC.